1948 Chevrolet Sedan Photo Picture Classic Cars for sale & Classifieds - Buy Sell Classic Car & Classic Truck Classifieds. 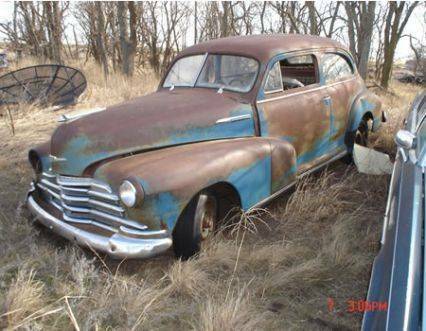 Victor sent us a picture of his Rusty Ride find, a 1948 Chevrolet Sedan??? Great rat rod potential!! just put a new coat of paint one more head light maybe some wheels DONE!!! I love that patina paint job!